Previous Post : Planet Media does Sydney: Industry trends from the Online Retailer Expo. How is it ‘bad SEO’ to link every page to a site’s homepage? 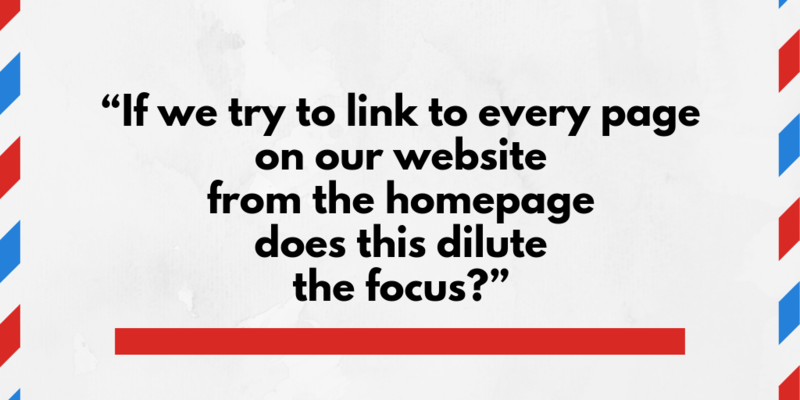 Linking every page to your site’s homepage can be an unreliable process. In a recent Google Webmaster Central office-hours hangout, a very valuable question was asked, which can be quite interesting for anyone related to SEO. 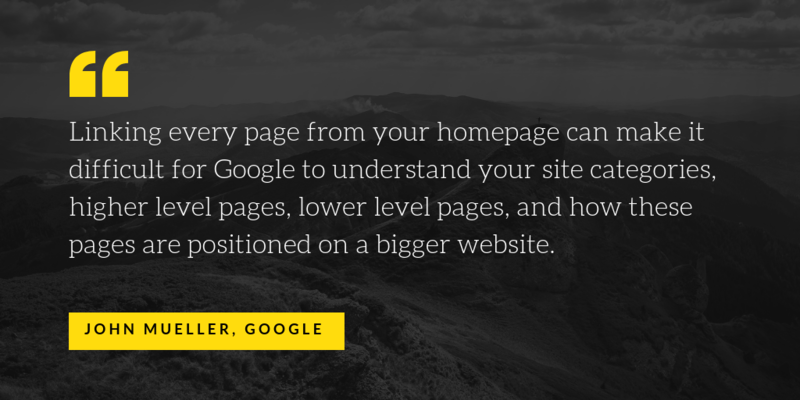 In response, John Mueller, the Senior Webmaster Trends Analyst at Google, said the practice of linking every page from the site’s homepage will prevent the Googlebot from understanding your site’s architecture. However, larger websites are most likely to get affected by this rather than the smaller ones, as linking every page will dilute the focus making it difficult for Google to understand its structure. This means the Google algorithm will not be able to differentiate between higher level pages from lower level pages or its categories. That said, it is important for your site’s SEO to link the most important pages to the homepage. It helps the pages to gain more weight in the Google search results. However, that doesn’t mean you should link every page and make it complicated for the search engines. Whereas, for a smaller site (maybe, 10-20 pages) linking to all its pages from the homepage is considered as a much more normal process. For those who might be still wondering about the value of your site’s structure, well, knowing your site’s architecture can assist Google to position the pages of your site in search results in a way it makes sense for the searchers.